Our Performance Series models come with many advanced features, providing an unsurpassed user-friendly experience. The G 2500 DCE is equipped with a patented Kärcher commercial grade direct drive pump with brass head and is powered by a Kärcher OHV KPS Series 173cc engine. This unit also boast many other industry leading features, such as large top storage compartment for accessories, a 25ft. Quick Connect high pressure hose, solid brass connectors and large never-flat tires. Created with a “workstation” design, the G 2500 DCE makes cleaning easy and convenient. 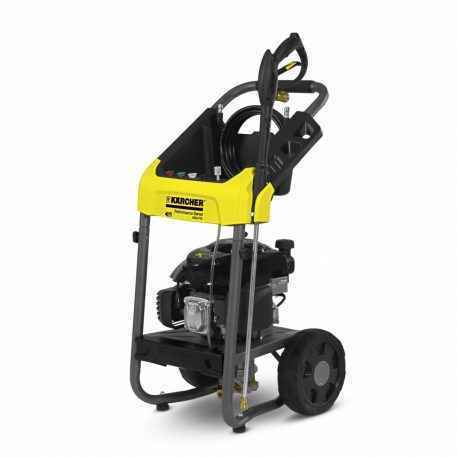 Come experience the Performance Series line of gas pressure washers today and see why Kärcher makes a difference.